Created by Randy Ingermanson - "the Snowflake Guy"
The phone rang just as I was sitting down to write my next blog post. One look at the caller ID told me it was trouble. My plumber, Sam, who has an endless number of ways to drain my bank account. I let the phone go to voice mail and logged in to my blog. The doorbell rang. Twice. Three times. Then one long continuous ring. I peeked out my office window and saw a very short, stout older woman on my porch holding a plate stacked with the largest cookies I’ve ever seen. “See, he’s home after all!” boomed a familiar voice. Sam the plumber jumped out from behind an enormous tree. “Dear boy!” said the woman. “Little Sammie’s told me all about you! Thank you so much for offering to help with my book. Here, have a cookie!” She handed me a chocolate-chip cookie the size of a small pizza. It felt like it weighed ten pounds. I suddenly realized that the woman looked a lot like Sam, except scaled down in size. Sam is well over six feet tall and weighs about 300 pounds. Which was exactly what I was afraid of. I backed into the kitchen, dropped the cookie on the counter, and washed about a pound of melted chocolate off of my hands. When I got back to the living room, Sam had taken over my favorite chair and his mother was perched primly on the couch. “It’s a yeah novel,” Sam said. “And the dragon has to be pink,” Minnie said. “See, that’s where we figgered you could help us,” Sam said. “Dear boy!” Minnie leaped to her feet and threw her arms around me and squeezed. Hard. For nearly a minute. Forcing every molecule of air out of my lungs. By the time she finished hugging me, I was nearly unconscious. Minnie sat back down on the couch. Sam pecked madly on his iPad. I took the iPad and began reading. By the end of the first paragraph, I already didn’t like it. “Dear me, that doesn’t sound honest,” Minnie said. “Royalties!” I shouted. Now I was furious. I scanned to the next paragraph in the contract. What I saw made my head start throbbing. “Is that … bad?” Minnie’s voice was quavering. “I’m sure no honest plumber would ever pad the invoice,” I said. “But a feller hears stories from time to time,” Sam said. “Sell copies on my own? Is that legal?” Minnie began wringing her hands. “Authors should be able to buy copies at cost and then sell them. Let me just check the terms.” I scanned the contract. “Ma, you could buy copies and sell ’em to yer friends,” Sam said. There seemed to be no good answer to that, so I said nothing. I didn’t want to make more work for myself. I knew I was crazy to say anything. All I had to do was keep my mouth shut and I wouldn’t have to deal with Minnie and her yeah novel, ever again. But I’m stupid. I’m an idiot. I’m a hundred-percent, grade-A fool. Which is why I corrected her. Minnie dried her eyes. Stared hard at me to see if I was lying. Took hold of my hand and kissed it. Randy sez: This is the first in a series of blog posts on how to self-publish a novel. Some of what we say will be useful to non-fiction writers too. Minnie’s contract is based on a real one I have seen. The list of spurious editing services offered to Minnie is based on a real one I have seen. In the coming weeks, I’ll walk Minnie through the process of editing her novel and getting it published on Amazon and other online retailers. Maybe Minnie will earn big bucks. Maybe she won’t. But she’ll never know unless she tries. And at least she won’t be paying out a huge pile of money to a predatory publisher somewhere. Now I’d like to hear from my Loyal Blog Readers. Have you had a bad experience with a predatory publisher? Do you want to share what you learned? Can you tell us what you’d do differently? You don’t have to name names, but if you do, I won’t stop you. The main thing is that you can make a difference in the world. You can tell other writers what mistakes not to make. You can help put the crooks out of business. Leave a comment and tell your story. If you’ve got a friend with a predatory publisher horror story, send them here to leave a comment. I’ll read each story and choose the one that I think is most helpful to my Loyal Blog Readers. The winner gets their choice of an interview on my blog or a free five-page critique by me of their current manuscript. I’ll choose the winner two weeks from today, on July 2, 2013. Note added July 3, 2013: And the winner is … Caprice, with her cautionary tale about “Publisher X.” Caprice, I’ll email you privately to ask whether you want to do an interview or get a critique. Thanks to all my Loyal Blog Readers for your comments and stories about predatory publishers. I appreciate you! Amusing story, but very true. I read Writing Fiction for Dummies a couple times. Looking forward to see the continuation of your story about how to self publish! Hi Conor: Glad you like the story, which is all too close to reality. I had the benefit of an actual bad contract to look at, so all the terms I talked about are real. I’m looking forward to writing the rest of the series on indie publishing. I just hope Sam doesn’t try any of his usual tricks. Love it! By using fiction to relate crucial non-fiction information, you make it understandable. Hi Julie: Fiction is the best teaching tool. And by far the most fun for the teacher! Just wanted to make a general comment to say thanks for your blog. It’s both entertaining and full of helpful information. You’re doing an awesome job, Randy. Your blog is a great example of the best out there. Thanks for helping me learn the ropes. I’m looking forward to more on this topic. Hi Michal: I have to say I’m having a lot of fun now that I’ve got the web site transitioned over to a new site and can blog again. Glad to hear you like the blog! I’d like to do some new things with the blog this coming year. It’s a bit more flexible than the e-zine. Amusing, but, oh so informative.You have no idea as to how much your blogs have helped me. Looking forward to your next post. Do you recommend Amazon? I’m thinking about going this route. Thank you, and blessings. Hi Johnny: Yes, I highly recommend Amazon’s KDP program. I’ve done a couple of books with them and since they’re non-exclusive, you can also publish on B&N’s Pubit site and on Smashwords, Apple’s iTunes store, Kobo, and many others. There has never been a better time to be a writer in the whole history of mankind. Seize the moment and go write something great! I have a predatory story, but in this case it wasn’t a publisher but a marketing company. I’ll also cover a notice I got when applying for a trademark on my book series. I received a phone call from a company that I -thought- identified themselves as “Book World.” I was luckily on the computer at the time and did a quick google search. Hmm… seemed legit, it looked like a small bookshop located in Wisconsin. So, as I am always suspicious of people calling me out of the blue. I asked the person where they were located and they said to me in a very enthusiastic voice. “Why we’re in Green Bay Wisconsin!” I was expecting a YEE-HAW to follow shortly after, but alas, twas none. She asked me if I’d be interested in what they have to offer for marketing services. I said, “Sure,” and she proceeded to transfer me to a rep.
Here’s where things got interesting. I was transferred to a rep that had a very thick Spanish accent (I should know, I am Spanish myself). He was very nervous and had difficulty putting together coherent sentences. When he told me his company name again, this time he said, “Book… WHIRL.” Book whirl? What the heck is that? I thought. I did a quick google search and found book whirl online. It was way different than what I had found before and the worst part was, there were blogs about this company saying BUYER BEWARE! So he continues on his spiel and mentions the different options they would be able to provide for 500 bucks. The service he was most excited about was “Newswire” where they’ll send an e-mail blast to “major news outlets” in the hopes of getting your book picked up by a major network. There was no discussion of contacting actual outlets via phone, scheduling interviews, getting billboards, etc. They just wanted to sell you on the “newswire” and that was it. I don’t know about you, but I wouldn’t want -my- book associated with spam. I dug around their website a little more and didn’t have a legitimate address to mail to and the testimonials looked horribly fake. The one author that was supposedly getting a book turned into a movie, never once mentioning Book Whirl for their help in marketing the book. Basic rule of thumb: If someone calls YOU for publishing, marketing, and advertising. Steer clear! The real professionals are sought out by authors, not the other way around. If an author wants to trademark their work. They need to have a SERIES of books in order to trademark them. I.E. Harry Potter, Twilight, Lord of the Rings, etc. Why mention this? Well, because there are scammers even amongst the trademark world. Who would’ve thought? I received a notice that looked very official. The whole were punched, the paper looked like those used on receipts, and it even had the carbon copy. The only thing that was weird was the address. “New York City?” Last time I checked, the trademark office was not located in New York City. The fine print essentially said:Pay us to monitor your trademark online. But the way they sent the form made it seem like if you didn’t mail it back, your trademark would be screwed. Essentially, it was just another scam to get you to pay a yearly subscription to supposedly “monitor” your trademark. Thankfully the company I applied my trademark through warned me ahead of time that people would try to scam me. So! If you get an official looking notice, look at the address, and read the small print. I hope this information helps you budding authors out! Sorry. You lost me at YeeHaw. I live in Wisconsin and the only time I hear that is when watching shows about hillbillies or cowboys. You say you are Spanish, so maybe you do not understand the intricacies of regions in the United States. Now, you could make a joke about the Packers or a comment about the Great Lakes, but YeeHaw marks you as strange to the region. Sorry to be nitpicky, but there you go. I’m pretty sure that was Wilmar’s point – the person on the phone was also a stranger to the region, and therefore suspicious. Thanks Andi, nail on the head. Thanks, Wilmar! I agree — when some marketing company is pitching you something out of the blue, generally it’s because they aren’t very good. Looks like there are plenty of scammers out there in just about everything. There is another variation on these sorts of vanity publishing arrangements.. There is a company in the UK that encourages school children to enter poems into a “competition”. The child’s parents are then sent a letter saying that out of tens of thousands of other entries, their child’s poem has been selected for publication. The parents (and relatives) are understandably really chuffed and the child can’t wait to tell his/her friends and the teacher. The parents are encouraged to buy a copy of the expensive anthology in which the child’s poem appears. However when the excited child goes to school they are devastated to find that all the other children have also been successful in the same competition…. Thanks, Penny! There seem to be no end of people running scams like this. I live in Frederick, MD. We have the dubious distinction of being home to a small publishing business called PublishAmerica. A few years ago I was looking for an editing position and saw that PublishAmerica was looking for an editor. Having little knowledge of the company, I went on the interview and was immediately turned off. The company’s head manager was not impressive. He barely looked up from behind a computer monitor during the interview and asked such suspicious questions such as how many hours are you willing to work above 40 hours/week? The job announcement never mentioned exactly what the compensation was, but when I found out that it was paid per book (which was paltry) and they expected to push through 6 books a month minimum per editor, I thought that sounded more like a publishing sweatshop. The editor (the company had 25 editors with staggered shifts day and night) was not an editor at all. They were tasked with copying and pasting author provided Word Doc pages into a manuscript publishing software like Quark as quickly as possible. If the editor happened to see a dangling preposition or modifier, s/he would fix it, if s/he knew how. Yikes! I could not leave fast enough. These links prove that PublishAmerica is a bonafide publishing house scam. How this company survives after having so many lawsuits is impressive. The only way this company could be fiscally sound is if the lawsuit payout is a line item in the cost of doing business and the company revenue stream is healthy. Thanks for the inside look at PublishAmerica, Cori. I’ve heard all sorts of complaints about them from writers over the years but I never really looked into them. The complaint sites you listed above make fascinating reading. I looked at each of them and was pretty shocked by what I read. There are a lot of people who are very angry at PublishAmerica! I signed with a major art publisher for my how-to drawing books. I was thrilled that they would publish my manuscript without an agent. They told me it was their standard contract. The book sold well (and is still selling well, 10 years later.) In the meantime I wrote and illustrated two more books for them. What I missed was the small print in the contract. I’d granted them the right to use excerpts and create compilations, paying me a one-time fee. Sure ‘nuff, they produced a compilation that contained the bulk of all three of my books and paid me a flat fee. I asked about royalties and they said I’d signed that part away, but rest assured, this “Big Book of Drawing Secrets” would not affect sales of the three books contained in it. Two of the three books went out of print. The Big Book is a top selling art book on Amazon. Now I have an agent who knows contracts. And a new publisher. Wow, Carrie, that’s not a clause I would have noticed in a contract. Thanks for sharing that. I suppose that would fall under “Derivative Works”. Contracts exist to nail down all possibilities, and very few writers have the experience to know what each of the clauses in a contract might eventually mean. I’m thankful for an agent to help me with that, and if I have questions about anything, I ask. As I’m not the only author to have missed that little gem, I think it’s a pretty predatory act they pull. The one time fee they paid me (if sales of my other book is any indication) would be about 6 months of what I would have gotten from royalities. They’ve sold the book for the past five years or so. Hi! Awesome! So how do you get an Agent? Any recommmendations? When I wrote my first children’s book, I had no idea what I was doing. A friend gave me an ad from a magazine for Vanity Press. I sent them my manuscript and they accepted! I was so excited!! Then I got the contract. They offered black and white illustrations, hardback books and a ridiculous selling price I can’t even remember now. And they only wanted $6.450.00. I sat on the floor and cried. I was a housewife with a special needs child. No way could I afford that. I wrote and asked them for my manuscripts back. They actually complied. Since then, I’ve learned you can actually get paid to publish your books! I’ve published two picture books with Concordia Publishing and have had several devotions in various magazines and books also published. I’ve come close to publishing more books and am waiting to hear from a publishing house right now. Am also going to be meeting with an agent at the Philly conference. I’ve learned there are specific times to self publish, but it shouldn’t cost you that much money, right? I guess it wasn’t a totally bad experience, but more of a learning one. Hi Pam: Thanks for your story! Gack, $6450 is a lot of money just to get your name in print. Fortunately, there are much better options which we’ll be talking about over the coming weeks. Good luck on selling your next book! Well done with getting your books published and good luck for the future. Randy, I really enjoyed the story and look forward to future posts. If a person wishes to publish whether self-pub or even a traditional publishing house *without an agent*, it would certainly be worth a couple of hundred bucks to have an attorney review and advise on the contract. Sure beats losing thousands to learn a hard lesson. Hi Pat, yes, I agree that it’s a good idea to have somebody review any publishing contract. If you do hire an attorney, you should be sure that they’re familiar with the publishing world. Publishing contracts, like all contracts, are negotiable, but some clauses have very little give in them and some have more. An attorney who doesn’t know the world of publishing would probably be horrified by some of the standard clauses that appear in most publishing contracts these days. He might even think the contract is a scam, when in reality it’s just business as usual. In fact, the next blog post in this series will cover traditional contracts. Stay tuned! When I first started to get a picture book published, my manuscript was accepted by one of these publishers. As a naive 18 year old, I was really excited, until I saw that they would only do black and white line drawings! That was the thing that turned me off, quite apart from the money that I didn’t have. A picture book for kids needs full colour pictures. Hi Melissa: Glad you didn’t get snookered by that publisher. Hard to believe they were only doing black and white line art! When I took the plunge to become a writer, I hired a editor/writing coach who allowed me to pay $3000 over 2 years to get my novel ready. She wanted me to publish with their company, but I had joined ACFW by that time and figured out that might not be my best option. The first publisher I sent my finished book to said they liked my story but had I considered getting it edited? Sigh…I thought I had. I would love to run this article on my blog to inform others, all credit given to you of course. Is that permissable? Ouch, Jennifer! Thanks for the heads-up on that. Not all editors are created equal. I believe strongly in getting good editing, but only at the right time, and by the right editor. It may be best I call the company in question “X”. They’re still in business. I also apologize in advance for the length. I have a much longer version of this story I used to send to anyone I heard was considering using this company…. A little history… I bought a Writer’s Market back in 1998, after I finished my first novel. I queried every single publisher who said they accepted unagented fantasy. I also bought the WD Literary Agent Guide (or whatever they called it back then) and queried every literary agent listed who accepted first time authors and fantasy. My first three chapters, printed on paper, were actually IN one of the twin towers when 9/11 happened, because some publisher or agent had an office in one of those buildings (they WERE offices, after all, and everything publishing is in NYC). Only after I collected rejections from every single possibility (which took about 3 years) did I consider self-publishing. At that point, the only other option was to let the ms rot in a drawer, and I simply couldn’t do that. Back then, things were different. You couldn’t really DIY like you can on Lulu and CreateSpace now. You had to hire a company and many of them were not exactly forthcoming about what you could expect. The lines were blurred and many of these POD publishing companies made it out like they were “real” publishers because they paid royalties and there was no minimum number of books to buy like vanity. I did shop quite a bit and I studied the options. I made very sure the company would NOT get sole rights and that I could get out of the arrangement at any time, because I NEVER gave up on something better for my first book. I decided on “X” because of distribution. They used both Spring Arbor and Ingram. Since I considered my book to have a similar audience to the Chronicles of Narnia, I thought I had a chance to get in both Christian and mainstream brick-and-mortar stores. “X” even accepted returns. This turned out to be irrelevant because the bookstores would never order a book when the “in stock” number was always too low. But I didn’t know that. I paid $1900 in August 2001. In the interior, I asked for some calligraphy fonts when my characters wrote letters (Scholastic does this with the Harry Potter books). “X” said I could have that effect only if I did all the formatting myself and used a laser printer to make camera-ready copy, so I did. They did ZERO work on my text. No formatting. No editing. All they had to do was scan my finished pages into their system and create a cover. They told me they would hire a professional artist and that my cover would be designed-just-for-me. They asked for cover ideas and I gave them two full pages of descriptions of the characters and their clothing, features, and all that. I even gave them several ideas for scenes and poses that would work. I was supposed to get three choices before production. I didn’t even get one choice within the 30 days. They didn’t contact me to explain what the delay was either. After six weeks, I had to ask. They said they were “extra busy” and that someone would check on my cover progress. I got my cover choices about three weeks later. Totally unacceptable. They slapped stock photographs of three different medieval castles under some titles and sent those to me. I literally cried. Now I know authors often don’t have a choice about covers. But I was PAYING them. And I was told I was going to get personal and custom attention. I was told that they would not put characters on novels because they didn’t want to pay artists when their art might be rejected. However, I later learned that this was a lie. I met another “X” author at a convention and she had characters on her cover! But I didn’t discover the lie until many months later. Let’s back up to me being very upset with the covers offered me. After I was told that characters weren’t allowed I asked, “If you were going to throw out all my suggestions, why didn’t you come to me THEN and explain the situation and ask for alternatives?” They had no answer to this. Another idea would have been to actually READ the back cover blurb! They didn’t think of that. The “castle” in my book is located in a bustling seaport town in a warm climate like San Diego. Palm trees and citrus groves. Stained glass domes. Marble and onyx and inlaid gems. With lush gardens on the grounds. Taj Mahal-ish. But what did they give me? Rough-hewn stone buildings in the middle of stark environments which reminded me of Scotland. No domes, no marble. No palms or orange orchards. No lush gardens. In fact, no plants or green at all. Just rocky wilderness. No city within sight. What was I going to do, buy stickers to slap on the covers with a disclaimer that said, “Ignore this cover because it bears no resemblance whatsoever to the story within” ? I told “X” that the castles were simply unacceptable and if they insisted on using a castle, they had to find something which more closely matched the text. I threatened to pull my book. At that time, “X” was new and had a money-back guarantee that would let me do this. I believe they have modified that guarantee so customers will lose some money if they try this now. So when I threatened to pull my book, I got a call, supposedly from the CEO. For all I know, he wasn’t. This man repeated the lie that they didn’t allow characters on covers. At the time, I couldn’t argue, so I gave this man some new ideas. I mentioned my palatial castle and the double suns setting over a crystal blue ocean. I even told them how they could do characters on my cover without hiring an artist, but just a photographer. I suggested silhouettes. Easy stuff. I really wanted characters on my cover. This man listened and asked for more time. Remember, I had already waited almost double the originally promised time. But I agreed to give them another chance. So I waited and waited. It was another six weeks before I got my “three choices”. But it really wasn’t three different covers. It was one image of two suns which did NOT set simultaneously like I specified, but they did set over water and the picture was really well done. They used this same image for all three covers and only changed the fonts and color choices of the backgrounds. One picture and three choices of title fonts and colors. Not what I paid for at all. But at this point, I was tired of waiting. I wanted the book out by Christmas. So I authorized one of these barely acceptable covers to be used. I have to admit it was attractive, if not up to my perfectionist standards. But even after I okayed the cover, they still took forever. I didn’t get a book in my hands until January 2002. If all they did was muddle a cover and take too long, perhaps I wouldn’t be writing this. There’s more. I was invited to pay them money to get a coveted space in their booth at a bookseller’s convention. We refinanced our house so I could pay this fee, buy a plane ticket, hotel, and buy the books to give away. I was investing in my CAREER, right? All the real publishers supply the books for their authors to sign and give away to the bookstore owners because this creates buzz and interest. Bookstore owners are the ones who decide what gets on their shelves. This was a way to get REAL orders so I could get on shelves and get booksignings. So I hoped. Certainly not all of them, but a fairly large number of bookstore owners at this convention didn’t really seem to want to talk about books as much as they wanted to collect as many freebies as possible. I saw them running around with dollies to hold all the free books they collected. Now I am sure some of them are obtained for the purpose of previewing in order to facilitate a legitimate business decision, but I heard more than one of these booksellers admit that they used the books as personal gifts to friends and family members. In fact, about a week after the convention, I started seeing used copies of MY book on Amazon. My sales did not increase one iota as a result of giving away books to bookstore owners. Instead, books I refinanced my house to give away were sold used on Amazon at 100% profit with no royalty to me. Now I don’t generally have a problem with selling used books when they were paid for properly to begin with. I bought a couple of these used books myself, just to get them off of Amazon. Sure enough, they were signed with a certain scripture I never used at any other time except that convention. I donated these to libraries because they just made me so sick. The convention was bad enough, but the incident which iced the cake was the catalog incident. “X” publishes a catalog which is sent out to Christian bookstores as a promotion for the Christmas season. I was led to believe this was a really slick catalog and I figured “X” being a publisher would have no trouble publishing something of good quality. After all, I had no complaints about my book binding or page quality. You couldn’t tell it from any other trade paperback. To get into this catalog you had to buy an ad. While this was not as high a cost as crossing the continent to attend that convention, it was a little pricey unless you got the teeny text-only ad which had the title and a sentence of description. I wanted a book cover and some copy to entice. I bought a quarter-page ad. So this catalog comes out in September or October (I forget now, but it was plenty of time to order before Christmas) and it supposedly went to every Christian bookstore in the CBA. Since I paid for the ad, I got a copy of the catalog. First off, I was very disappointed in the catalog itself. It was newsprint (not “slick”) and the colors were bad. Did not give a good impression of “X” at all. This is how I learned beyond a shadow of doubt that “X” didn’t care about selling books or looking good to the bookstores. They didn’t care what the bookstore people thought because they made tons of money off the authors placing their ads. They spent very little money on printing and then sent it all out in a bulk mailing. But that wasn’t the worst of it. At “X”, a book’s price was determined by page count. And since I did all the formatting, I worked hard to get my price as close as humanly possible to competitive. My book was supposed to be listed at $13.95 retail, but when I find my ad in this newspaperish catalog, what price is printed? $18.95! I don’t know anyone who would buy a trade paperback for that price even now, but this was 9 years ago! I called “X” to complain. At first they denied they had made a mistake and said $18.95 was the correct price. I had to dig out my contract to prove them wrong. Then they admitted they printed the wrong price. I demanded a refund. They refused. They said, “It’s not like we would actually charge that price. The store would get the proper price and they would resell it accordingly.” Yeah, but who would even call to find out it was a misprint? If they bothered to look into this trashy catalog at all, they’d see that inflated price and immediately write it off. I wrote a long letter telling them how unhappy I was with this ad which I had paid good money for. I quoted the promotion which they pitched to authors which said the catalog was “slick” and flashy. I complained about the misprint which quashed any chance of my ad being effective. What did they say? “Sorry. We don’t give refunds. Oh, but if you like, we will give you a free ad in the next catalog.” That would be Easter. Umm, how many people buy Easter gifts compared to Christmas gifts? And even if they do buy books for Easter, is it going to be fiction? NO!!! No one buys novels for Easter! I was so mad, I never pursued the Easter ad. Never got a refund either. Not surprisingly, I got no sales out of that ad. Money totally down the drain. Some of these things I could have tolerated better if “X” didn’t advertise itself as being a Christian company. I believe Christians should be held to a higher standard. These people lied to me, used me, and cheated me..
Needless to say, the sequel was published with Lulu. (Create Space did not yet exist.) Later, both of my self-published books were republished with a small independent press, Splashdown Books, who also published the third book in the trilogy last year. I must give X credit here: when I told them I needed their version of my first book taken off the market, they did it swiftly. While I think some things were misrepresented, they never tried to mess with my book rights. Hi Caprice, thanks for sharing that horror story. It makes me sick to think about publishers that do things like this. I hope your story helps lots of my Loyal Blog Readers. Hi Caprice, let me take a wild guess here. Your “X” company’s name started with “X”, but the first letter is pronounced “Z,” am I right? If that’s correct, I almost…almost went with them but was very uneasy in my spirit. Seven years later, my YA (or should that be Yeah Book) novel still isn’t published but is going through a final professional edit. Thanks for sharing your story with us here in blogdom. I do believe you are right that the X is pronounced as a “Z”. And truthfully, I am not sure my experience from 9-10 years ago is even relevant to anyone currently considering them. I would never do business with them again, but lots of things have changed and all I can do is tell people what happened to me. I currently use CreateSpace and KDP quite a bit, so I am not at all against self-publishing. I’m just against getting ripped off! A publishing company in Nigeria wanted to publish my book but I had to pay $1,200 up front to purchase copies when they were printed. I signed a contract and sent him the money but he didn’t get around to sending the contract back signed by him. Four years’ later and many emails later he still hadn’t published my book. I wanted my book published so much that, believing he would never publish my book, I finally withdrew his rights to publish it and got it published elsewhere with a vanity publisher with whom I was very satisfied. But I thought the publisher in Nigeria would return my money, however, he didn’t have it. He’d spent it getting his own book published and a couple of other authors’ books. There were about ten other authors waiting on the list (and they are still waiting), who had all paid this amount for copies in advance. Apparently, as he still insists he would have published my book – eventually!!! – I don’t have a leg to stand on. SIx years later, and I still have not had the money returned. He keeps saying he will but doesn’t have the money yet! Hi Madeleine: Ouch, ouch, ouch! Thanks, Randy, for this very, very interesting and entertaining post. You have to feel sorry for Minnie and others like her – especially if they listen when given good advice. I look forward to reading more. That is, if your computer has not been seriously damaged yet. You naturally would need to protect your important files for future use by protecting your computer. manually or automatically remove them. whilst searchingg for a comparable subject, your site gott hesre up, itt looks good. I have bookmarked it in my goole bookmarks. for brussels. I will appreciate when you continue this in future. A lot of people will likely be benefited out of our writing. 2013 is when I began to embrace the idea of being a published writer. I had studied writing at university but they didn’t teach me about predators and the bad side of vanity publishing. I began sending out stories to anthologies run by small press. I sent out over 30 stories and not one was rejected and I sent out art as well, once again nothing rejected. Near the end of 2013 I sent a story to a small press which was supposed to go in an anthology but there was a great fall out of authors and editors and cover artists from that press and they popped up on predators and editors as a predator. Something else I hadn’t learned in classes. I never signed the contract for the piece especially after other authors had to fight to get their rights back on their stories and were badly disadvantaged by those contracts. Fast forward to 2015 and I discovered my story on Amazon. It has my name on it. It is not in an anthology and apparently it is ranking quite well in several categories. It sells quite cheaply and is not available in any format than electronic. It has been selling now for two years and I am not part of the equation. Now I have to learn how to retrieve my intellectual property and perhaps obtain the seven cents of profit that should be in my cafe jar and am also disadvantaged in that I can no longer apply for options for an unpublished author which may have assisted my new career directions. Thank you for the post, I am pleased to have found this blog. First of all I would like to say fantastic blog! I had a quick question which I’d like to ask if you don’t mind. 10 to 15 minutes tend to be wasted just trying to figure out how to begin. Any recommendations or hints? possível que fazer transformações incríveis, como com em direção a personagem Muito bonita Blair. Is Traditional Publishing a Scam? Should You Be an Indie Author? 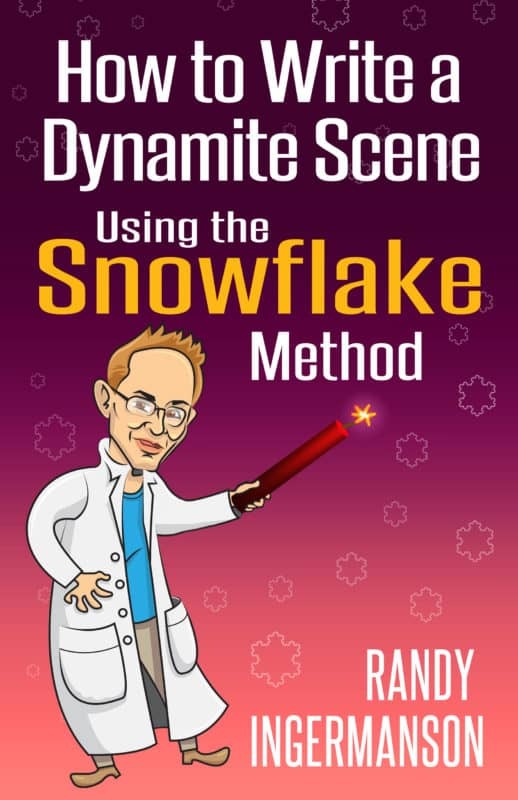 Randy is known around the world as "the Snowflake Guy" for his wildly popular Snowflake method of designing a novel. 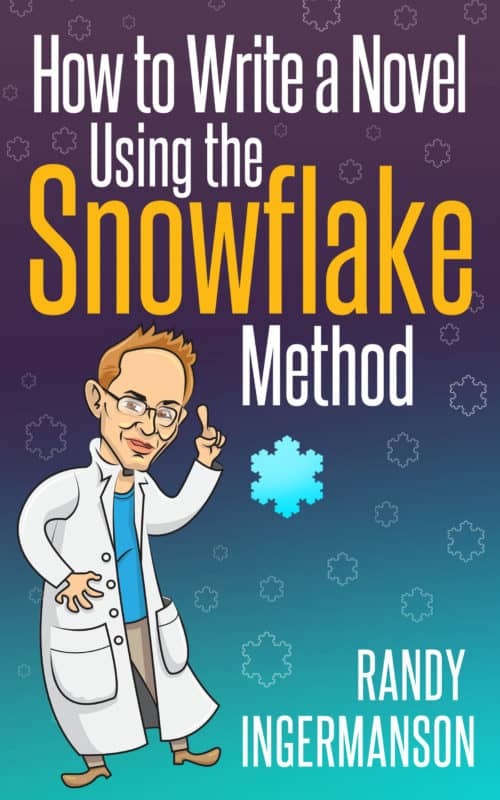 Now he's created software to make the Snowflake method fast, easy, and fun. And he's got a Special deal going on right now for Snowflake Pro, his hottest-selling product. Discover how Snowflake Pro can boost your creativity to new heights. Are you writing a novel, but having trouble getting your first draft written? Take a look at the wildly popular Snowflake Method--ten battle-tested steps to jump-start your creativity and help you quickly map out your story. All around the world, novelists are using the Snowflake Method right now to ignite their imaginations and get their first drafts down. If you can write one powerful, amazing scene, you can write a hundred. And that's a novel. The one goal of this book is to teach you the simple principles you can use right now to design a powerful scene before you write it. Randy's best-selling book has become one of the standard textbooks on fiction writing, with more than 80,000 copies sold. Despite the title, Writing Fiction for Dummies is not for stupid people. It's for writers who want to write powerful, moving fiction and who are serious about getting their work published. Find out why Writing Fiction for Dummies is so popular.